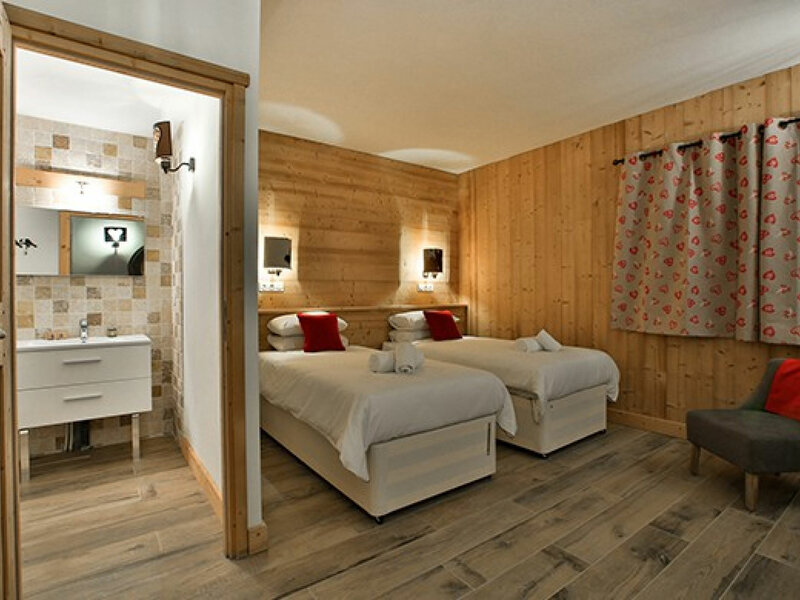 Newly built for 2016/17, furnished to a high specification and in a prime spot for ski accessibility, this spacious ski-in chalet apartment offers traditional alpine comforts with modern functionality. Chalet Hellebore is in the lower building of this brand new ‘Mountain Flower’ chalet complex, exclusive to Skiworld, and is accessed by a lift. There is one main street access into the complex via the lower building and for ultimate convenience the building benefits from its own skiers’ entrance. 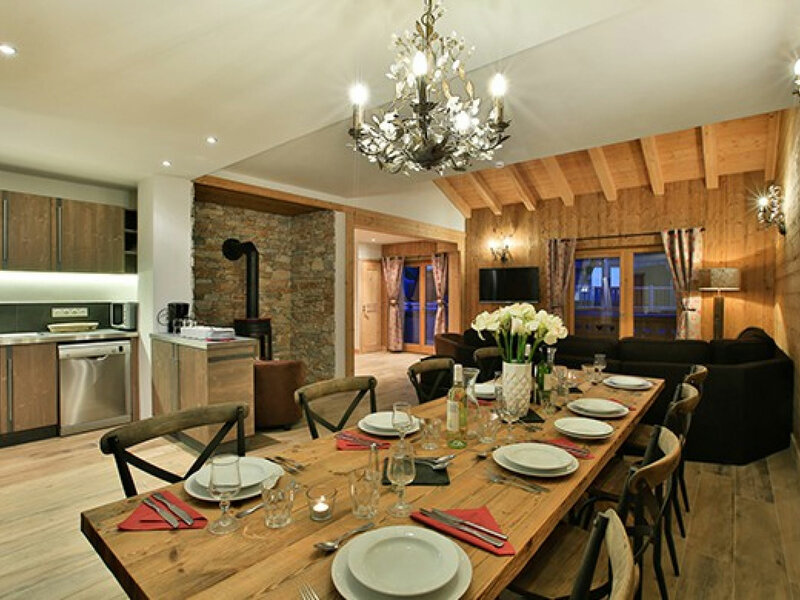 Chalet Hellebore is built in the Savoyard style with a contemporary twist. The living area has plenty of plush seating and full length doors opening onto a balcony. 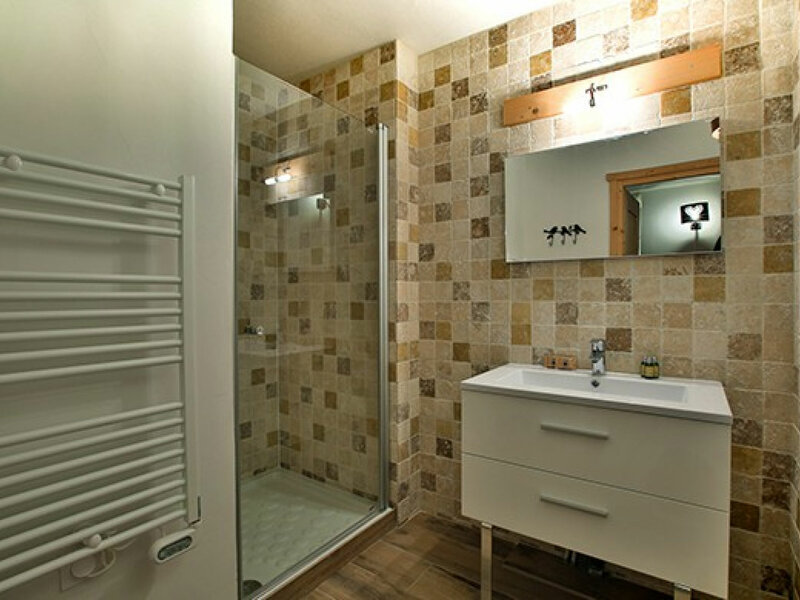 Bedrooms are spacious, each with an en suite shower room. Most bedrooms have twin beds that can be made into king-sized doubles offering flexible sleeping options for a variety of groups. 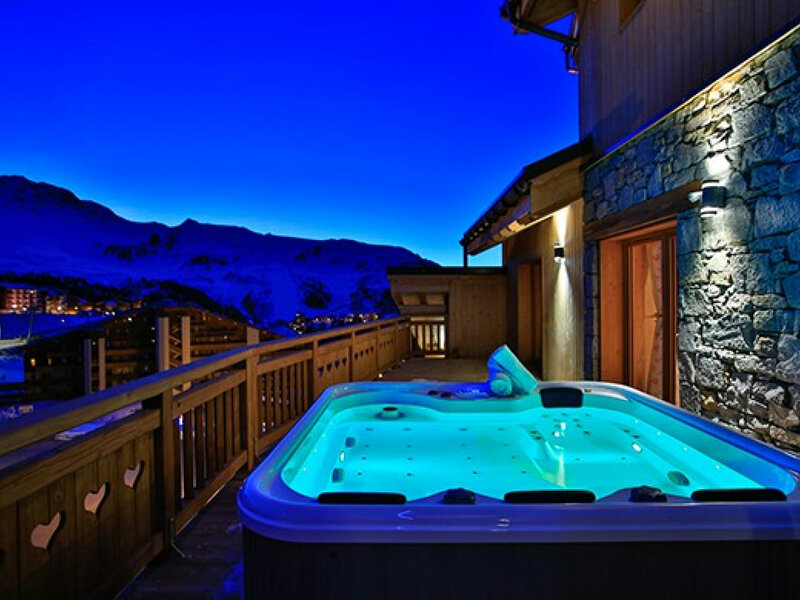 In chalet Hellebore you can relax in peace and comfort as not only does it boast a private sauna but also its own outdoor hot tub, perfect at the end of a long day on the slopes. The chalet also enjoys its own ski locker complete with boot warmers. 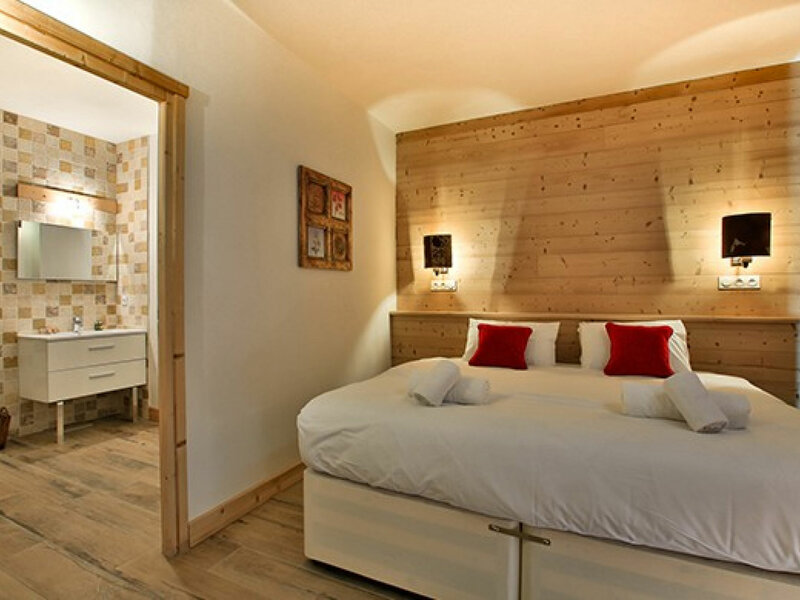 With breath-taking views and a relaxed atmosphere, the Mountain Flower chalets offer the ultimate in ski convenience in the magnificent Paradiski ski area. As most rooms can be configured either with twin beds or a king-sized double bed we will make them up as twins unless advised otherwise. Plagne Soleil. 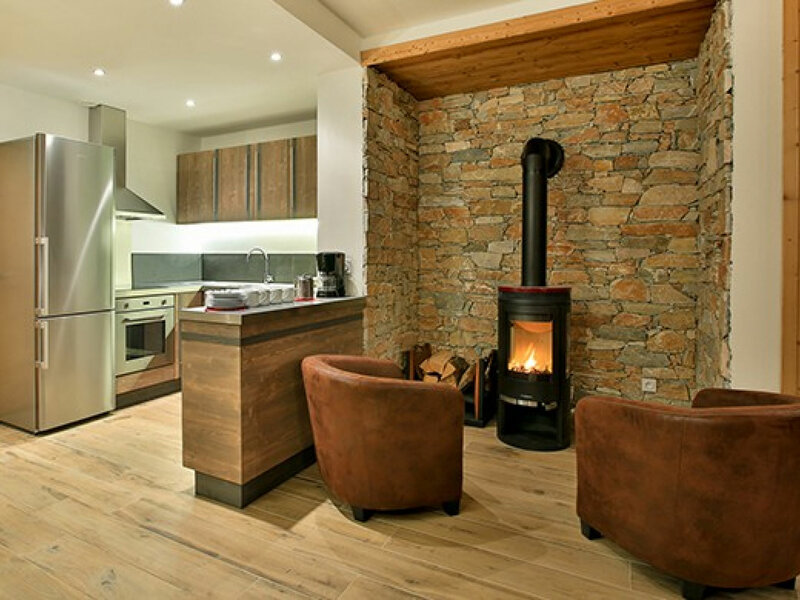 This brand new chalet apartment sits in a sunny position in the heart of peaceful Plagne Soleil and is perfectly located for access to the incredible skiing of Paradiski. Situated just 100 metres (approx.) from the piste, you can access the nearest lift ‘La Bergerie’ from a 500 metre (approx.) ski down one of two blue runs - Saint Esprit or Melezes. This means you can start your day with a ski run rather than a chairlift! 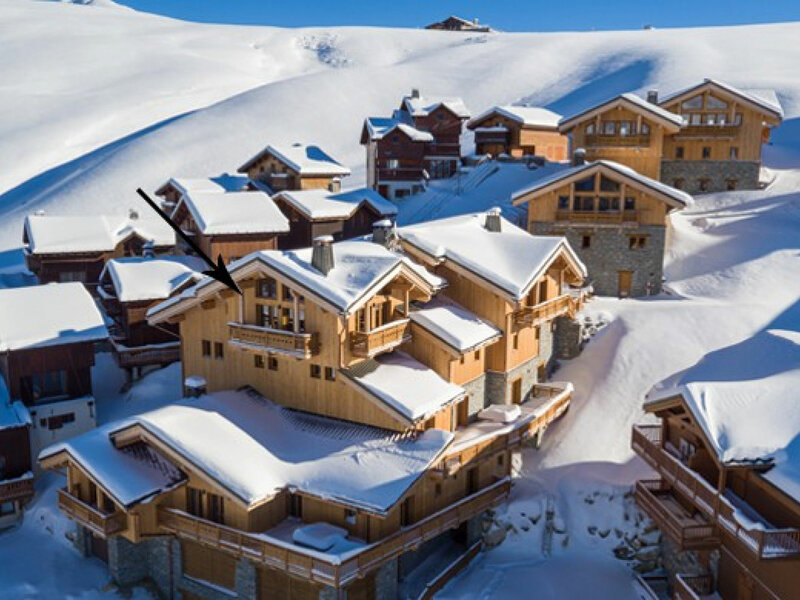 Plus, ski back to the chalet building on one of these blue runs offering convenient ski-in access. Within 300 metres (approx.) of the chalet is a small selection of shops, bars and restaurants. Plagne Soleil, so-named because it is the last part of the resort to see the sun at the end of the day, is one of the highest villages in la Plagne at 2050 metres. Staying here offers a great alternative to the larger villages. 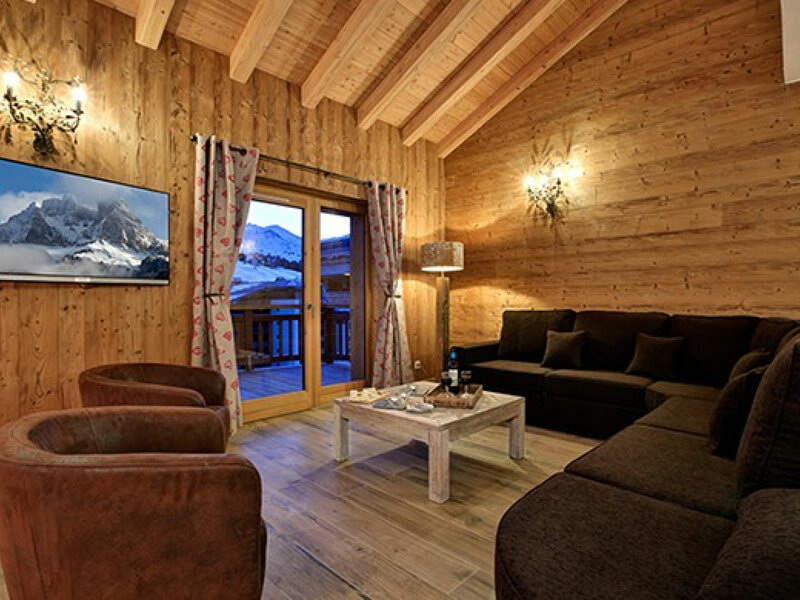 Here you can relax in peaceful semi seclusion and enjoy a laid back holiday with top-notch ski access.